A shocking murder. A web of deceit. A twist even Hitchcock wouldn’t see coming. It starts with a phone call – Sondra Ellis’ beautiful baby sister, Tracy, has disappeared during a jog along Chicago’s snowy lakefront. She’s even more devastated when Tracy’s mangled body is found days later, the victim of a mugging gone wrong. A year later, Sondra continues to struggle with Tracy’s death. Her trauma deepens when she discovers series of odd and unsettling cracks in her sister’s seemingly perfect life: puzzling messages, inexplicable meetings, and secrets and lies at every turn. 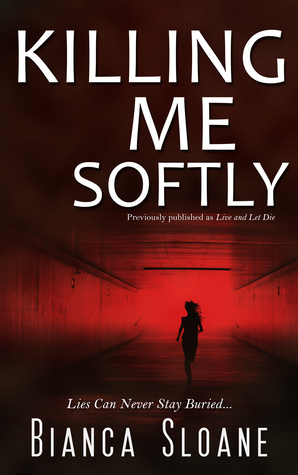 As Sondra continues to dig into the mystery of what happened to her sister, she has no idea she’s on her own collision course with life and death. 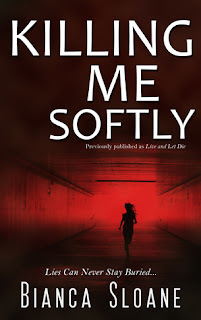 For fans of Patricia Highsmith, Mary Higgins Clark, and Alfred Hitchcock, Killing Me Softly is a page-turning psychological thriller that will keep you up long past your bedtime. I did not have many K books to choose from but this one caught my eye, such an interesting cover. The book turned out to be pretty interesting as well, not what I would normally pick up and read but I enjoyed it a great deal. The title itself is so catchy! Sounds like an interesting plot. Thanks for introducing this one. Woah this sounds like a book not to read at bedtime! Thanks for telling me about a new author. K is for Kindle and KDP as you Build a Better Blog. #AtoZchallenge. I find the title unfortunate, as it reminds me of the song. ;) Sounds like a good book though.